On Tuesday I attended a packed first meeting of what looks like a new PAVO network. It was organised by my Engagement colleague Sue Newham, and facilitated by Freda Lacey (Senior Officer Health & Wellbeing PAVO) to look at how organisations can better work together to address the worsening issue of mental health distress and stigma in the agricultural community in Powys. Men in particular, but also women working in this sector, such as farmers and vets, are vulnerable to high levels of stress due to many factors beyond their control including the weather, isolation, animal disease, farm succession, and, even as I write, who knows what future Brexit holds….? 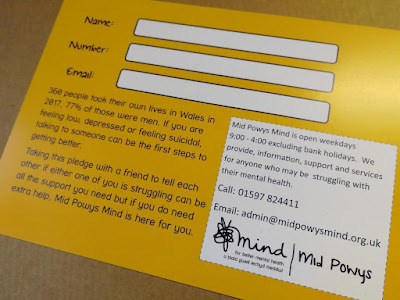 In our team we had been conscious of the issues for some time, alerted by our colleagues in the health board that this community was not so readily accessing mental health services as other people in Powys. However, after recognising some of the barriers in reaching out to this community ourselves (as detailed in Farming and mental health: the challenge) we realised that it was essential to collaborate closely with other key groups for us to make any kind of impact. Men working in the agri sector in Powys are still reluctant to ask for help when they need it. There could be hundreds of support services available, but if help is never sought it will make absolutely no difference to that person. The real challenge is encouraging men that “it’s OK to say” – as recognised by a Farmers’ Union of Wales event at the Royal Welsh Show in 2017. Emma Picton Jones lost her husband Daniel when he chose to end his life in 2016 after struggling with mental health issues. She subsequently set up The DPJ Foundation to support the agri sector in Pembrokeshire, and attended Tuesday’s meeting with her fellow trustee Sophie Adams. After a successful first year providing free counselling sessions and training for the sector in south-west Wales, the charity is now extending into Powys. 18 volunteers staff the telephone / text helpline. New Powys counsellors have been recruited who can provide the first counselling session within a week at a mutually convenient location in Welsh or English. If you, or someone you know, would like to talk to someone confidentially then call 0800 587 4262 or text 07860 048 799. The helpline service is available 24/7. Tracy Lewis, a farmer who also works for Mid Powys Mind in Radnorshire, told us about a new initiative the organisation is piloting to encourage men to talk to and support each other. It is aimed at all men, but she is visiting markets in the area and encouraging farmers to “take the Pledge with a friend”. As part of the Pledge the men agree that if they are struggling they will tell their friend that they need help, particularly if they are feeling suicidal, and contact support services. Friends also pledge to listen to each other without judgment, to ask directly if they think they may be suicidal, and support each other to seek appropriate help. Numerous other organisations attended on the day, bringing massive expertise and experience into this new network. They included Age Cymru Powys, Brecon & District Mind, Care & Repair Powys, Dementia Matters in Powys, the Farming Community Network, the Farmers’ Union of Wales, the National Union of Farmers, Ponthafren Association, Powys Teaching Health Board, and the local Young Farmers’ Clubs. Two PAVO trustees with extensive experience in the field - Trish Buchan and Ian Charlesworth, joined them. 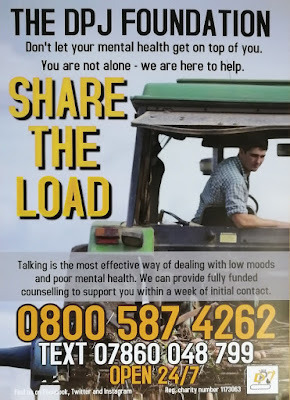 Many of these organisations already provide support services for people in the agricultural sector struggling with stress or low mood. The challenge now is to work collaboratively to provide the best possible support to those that need it. Do we focus on normalising mental health issues with young people now in college so that in twenty years they will be better equipped to deal with what life throws at them, or, support those in their 40s and 50s who are struggling now? Or both? It is no one person’s job to help support people working in the agri sector. We need to tap into the whole community – we all have contact with farmers. (I do. My cat goes on holiday to a cattery – a diversification scheme - on a farm). Mental Health First Aid training, tailored specifically for the agri sector, is key. Vets, feed merchants, market staff, farmers’ union staff, the list goes on… The DPJ Foundation provides this training and raises awareness about how to spot the first signs of mental health struggles and what support is available. 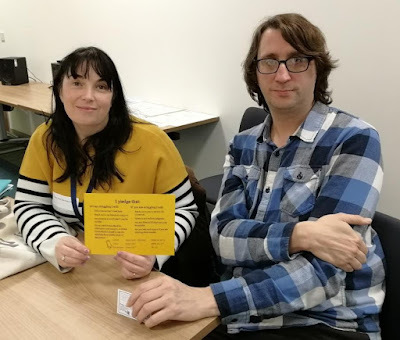 Powys Teaching Health Board is looking at a more integrated approach, so that people can seek support about both their physical and mental health issues at the same time. In Pembrokeshire The DPJ Foundation will be trialling a mobile unit which will go to markets, shows and even farms. A blood pressure check, a bit of an all-round physical MOT, and a chat. Ambassadors in the community who can speak about their own experiences can be very powerful in sowing the seed – that “it’s OK to say” and support is available. The DPJ Foundation invested a huge amount of time giving talks in the early days and people would ring for help – some several months later. Clarity around what support third parties can give (families, friends and neighbours) is needed. So often it is down to the individual to make that first contact (or not) which leaves others feeling helpless and hopeless. Sustainability is also key: 20 years ago following the Foot & Mouth crisis a number of initiatives were set up such as the Rural Stress Helpline, but ultimately they ended as funding ceased. We need to try, together, to embed support within the community not just in short-term services. The next meeting of this network (which has yet to have a name!) will be in May after the lambing season. For me the key message I took away from this valuable session was that we all, as Powys people, need to work on raising awareness, and normalising asking for help, amongst the agricultural community. We would be very interested to know your thoughts – please comment below or contact us in the Health & Wellbeing team at Powys Association of Voluntary Organisations. 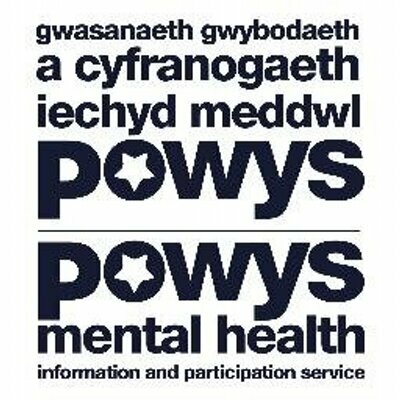 This blog is brought to you by the Powys Mental Health Information Service. We work for PAVO - Powys Association of Voluntary Organisations. Opinions expressed are those of the individual contributors, not necessarily of PAVO. Also, PAVO cannot be responsible for the content of external websites.